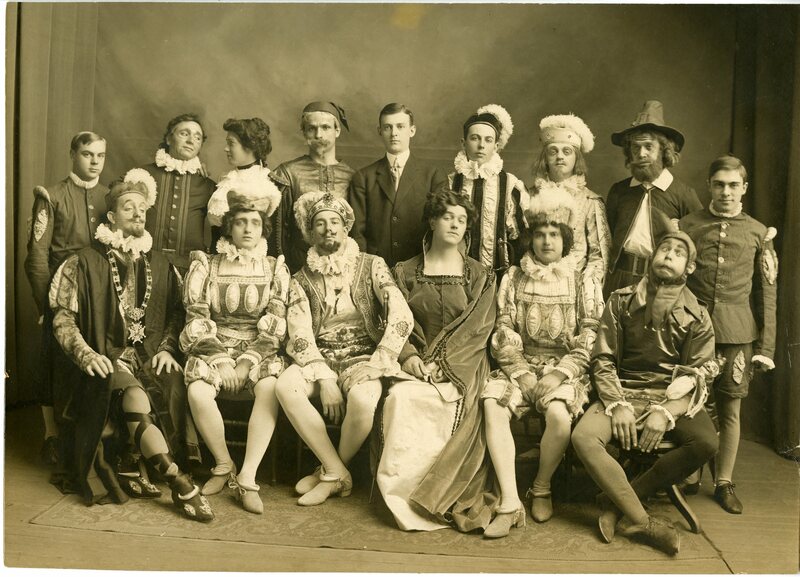 I hope that Sarah Werner at the Folger Shakespeare Library believes that “imitation is the sincerest form of flattery.” Her blog post in The Collation yesterday inspired me to share these images and reviews from the production of Twelfth Night staged by Amherst College students in March and April of 1907. You can see the originals on display for a bit longer in our current exhibit, Shakespeare’s Desk. As always, click on the images to see larger versions. The plots of Shakespeare’s plays, like those of his fellow-dramatists, were drawn from his reading. It is extraordinary how little this simple fact seems to have impinged upon Shakespearean studies: Shakespeare’s writing developed out of his reading. Although the Archives & Special Collections holds a respectable teaching collection of early modern printed books, including nearly 500 books and manuscripts created before Shakespeare’s death in 1616, the exhibition moves from a consideration of what Shakespeare might have read to explore how Shakespeare has been packaged for the desks of other readers over the past 400 years. A fuller web-version of the exhibition is currently under construction, so I will use this post to highlight just a couple of items. Illustrated editions of Shakespeare’s works are a fascinating topic, and this exhibition features two fine examples. 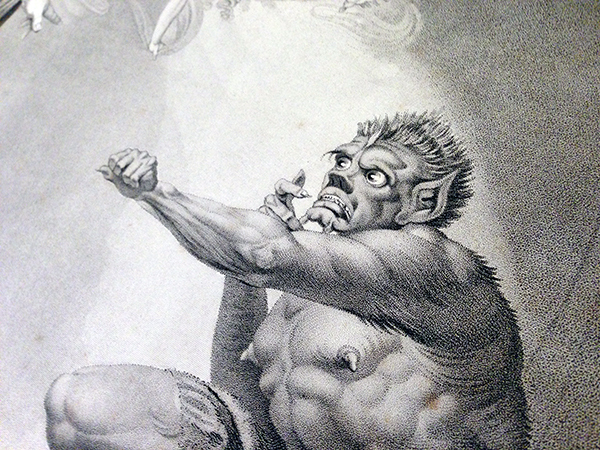 This detail of Caliban in “The Tempest” is taken from the large folio copy of The American Edition of Boydell’s Illustrations of the Dramatic works of Shakespeare by the Most Eminent Artists of Great Britain, which was published by Shearjashub Spooner in New York City in 1852. The complete history of John Boydell’s Shakespeare Gallery is a fascinating story. 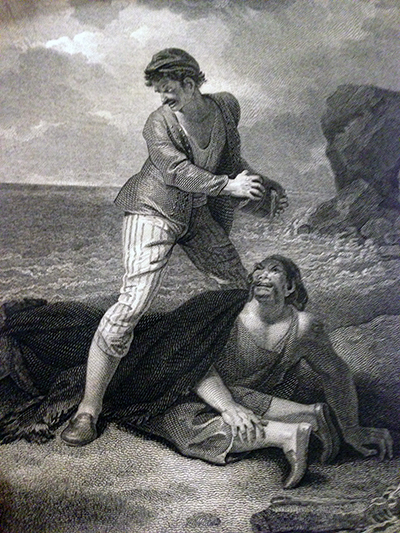 The Folger Shakespeare Library in Washington, DC mounted an exhibition titled “Marketing Shakespeare: The Boydell Gallery (1789-1805) and Beyond” in late 2007. The online version of their exhibition contains images of some of the original paintings Boydell commissioned for his Gallery and explores the printmaking process, among other things. 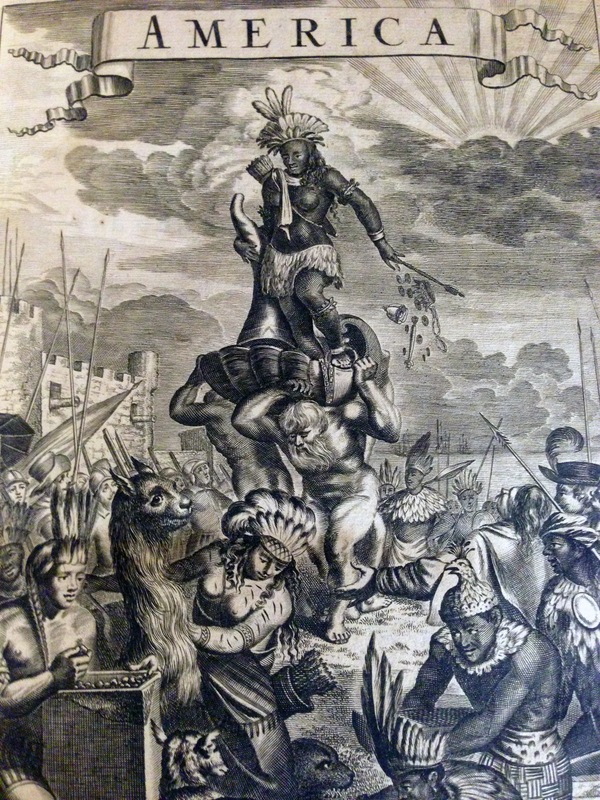 Frontispiece from Ogilby’s America (1671). Although our copy of John Ogilby’s book America: Being the Latest, and Most Accurate Description of the New World (1671) was written long after Shakespeare’s death, it is the best example in our collections of an illustrated work of exploration. One goal of this exhibition is to suggest some ways that examining early books can open up new paths of research. Clearly, these three images suggest there may be something very interesting going on here. Deeper exploration of representations of Caliban as they relate to illustrations of “New World” inhabitants would require a visit to a library like the Folger. Installation of this new exhibition will wrap up later this week. In addition to the works shown here, visitors will be able to see our copy of Shakespeare’s Second Folio, along with published books ranging from the sixteenth century to the present. As the archives of Amherst College, one of our missions is to document student life. 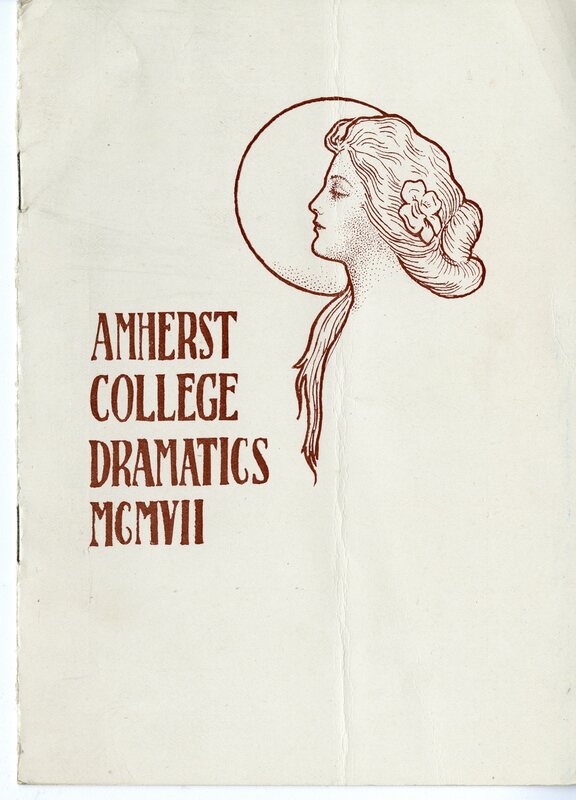 We have vast collections that document athletics, musical groups, dramatic activities, student publications, and other organized activities from the nearly 200 years of Amherst College history. One collection that provides a unique glimpse into the lives of individual students is The Scrapbooks Collection — 140 scrapbooks maintained by individual students between 1853 and 1967. These books contain a wide array of ephemera and include everything from report cards to ticket stubs to dance cards to newspaper clippings and photos.